Colors your scalp to match your hair color. It also coats and thickens thin hairs, making them stand up and spread out for maximum fullness. No product in the world can make your hair look this thick and full. DermMatch works instantly for men and women of any skin color, hair color or hair type DermMatch is loaded with emollients and botanicals. Emollients are moisturizers that soften and protect your skin. Botanicals are natural ingredients derived directly from plants. DermMatch contains only safe colorants and no hair dye. 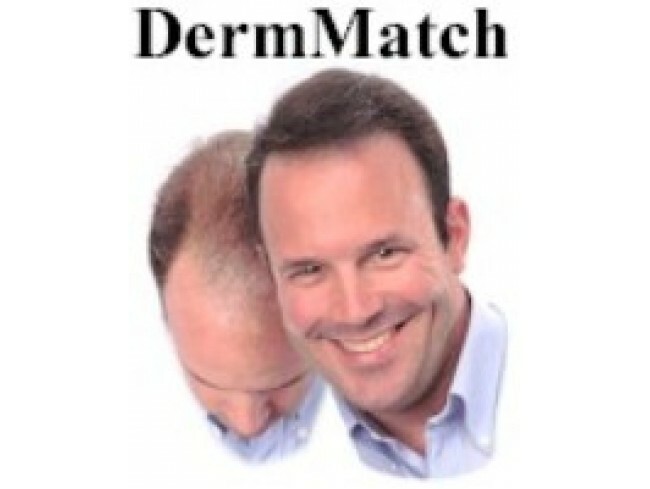 The topical formula will never interfere with your hair's growth and you can use DermMatch with Rogaine, Propecia or transplanted hair Just rub it on. 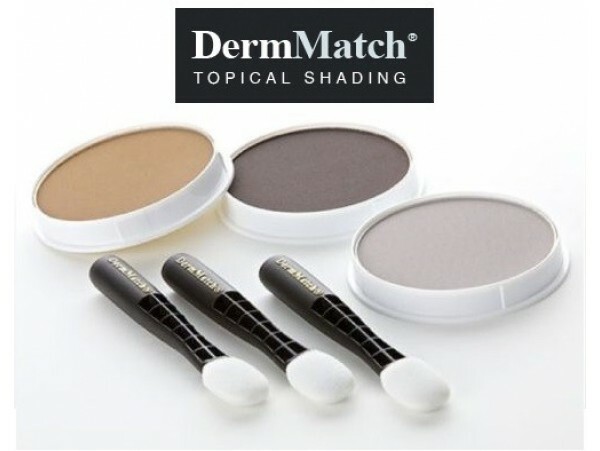 DermMatch is applied with a damp applicator to color the area quickly and evenly. Brush it through to coat thin hairs with thickening agents. Give a good thorough brushing and watch your hair puff up thick and full. The EZ Grip, EZ Reach applicators give you precise control. Apply the color back behind the hairline and use a dry applicator to fade the color forward. This gives you a perfect, natural hairline. DermMatch stays on so well you can scuba-dive. Don't try this with sprays or sprinkle concealers. They can come right off if you brush or bend over. All cosmetics transfer if you rub directly into them. DermMatch launders off linens if needed. A color coordinated, satin pillow case works great with DermMatch. Any shampoo removes it completely. DermMatch is a solid, hard-packed powdered formula that lasts a long time. On average, our customers order one disc every 8 months. Spray, sprinkle and cream concealers don't last nearly as long and they will cost you much more to use.